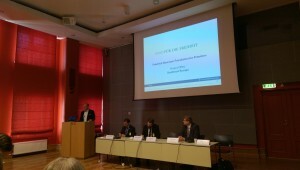 Against the backdrop of rising national discussions about restricting the i-voting in the world’s internet voting leader – Estonia, the European Liberal Forum with the support of the Academy of Liberalism of Estonia and the Project office for Southeast Europe of the Friedrich Naumann Foundation for Freedom organised the workshop “Digital Democracy and e-Participation. A Liberal Approach to Inclusive Governance in Northern Europe” in Tallinn on 14 June 2017. 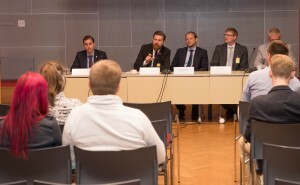 Held on the premises of the Estonian Parliament, the workshop allowed for an expert debate about the necessity of the use of ICTs in governance, the benefits of e-Democracy, and the challenges that the progressive e-countries from the North come across with the ever increasing incorporation of technologies in governance. 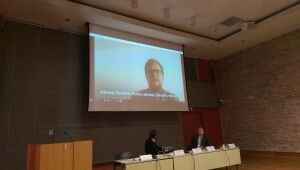 First, Arto Aas, member of the Estonian Parliament and former minister of Public Administration, addressed these issues in a welcoming speech, highlighting the success of Estonia in the e-administrative reform. The topic was further elaborated by Voctor Guzun, former ambassador of Moldova to Estonia (2010-2015) and professor at Tallinn University of Technology, who provided a number of practical examples of e-solutions that increase the effectiveness and reduce the costs for functioning of the administration and the businesses and improve the overall quality of live. The achievements of this greatly developed system of e-Government could easily serve as a basis for the further development and implementation of the tools of e-Democracy in the country, which to date remain still limited in scope. The promotion of a self-conscious e-society is of an utmost importance in today’s digital world, according to Linnar Viik, member of the Estonian e-Governance Academy. The e-awareness of the people allows them not only to make the best use of the state provided e-services but also to be actively engaged in governance, participate online, and search for electronic means to solve the deficits of today’s representative democracies. Practical examples of such citizen’s involvement were pointed out by Rikard Linde from Fores Institute, Sweden, and Håvard Sandvik, advisor to Venstre party, Norway. They both agreed that e-democracy initiatives, in the form of public consultations and e-initiatives in the Europe’s north, are pretty successful on a local level, but they still remain largely underdeveloped on a national level. All in all, the greatly developed e-Government across Northern Europe contrasts against the background of still limited in scope instruments of e-Democracy. Whereas, the Scandinavian countries are long on local e-Democracy initiatives, they are still short of e-tools that would provide for all-embracing, wider, and deeper democratic participation and decision-making on a national level. The political and public acceptance of technologies for governance will determine how this trend will develop in the future.